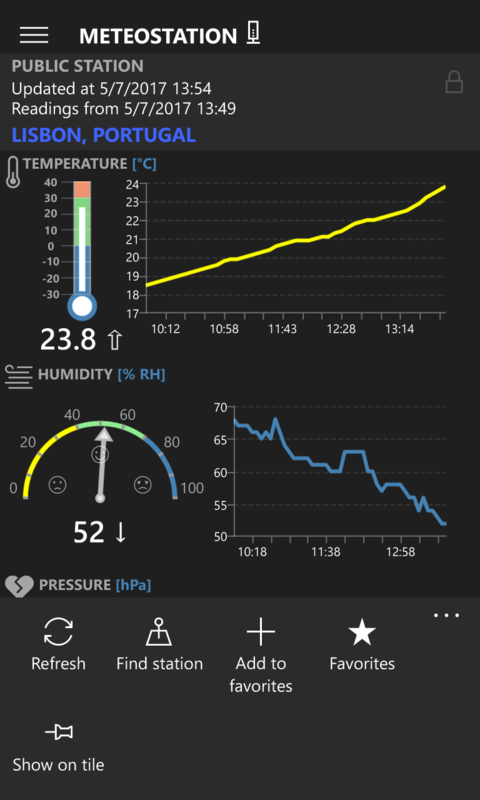 MeteoStation is your virtual weather station. Even you do not have your own weather station you can now monitor all common meteorological data like temperature, atmospheric pressure or relative air humidity. Just choose one from many thousands of stations that are available worldwide, and select one in your neighborhood. Or select the station of your vacation place and keep track of the weather there. which is presented in the form of an interactive chart. MeteoStation uses a worldwide network of measuring stations called NetAtmo, which brings thousands of owners of these stations from around the world. From small villages to big cities, from hot and horny African bush to the permafrost Norilsk. Thousands of users of these stations voluntarily share their measurements thus creating a unique and broad community measurements network. including Rain and Wind gauge. Otherwise you will at least need a NetAtmo account to use the application. If you not have an account then sign up first or temporarily use a build-in Test account. The application is designed to track basic information about current weather conditions such as air temperature, barometric pressure and relative humidity. It displays current readings, trends and historical data in the form of an interactive chart. 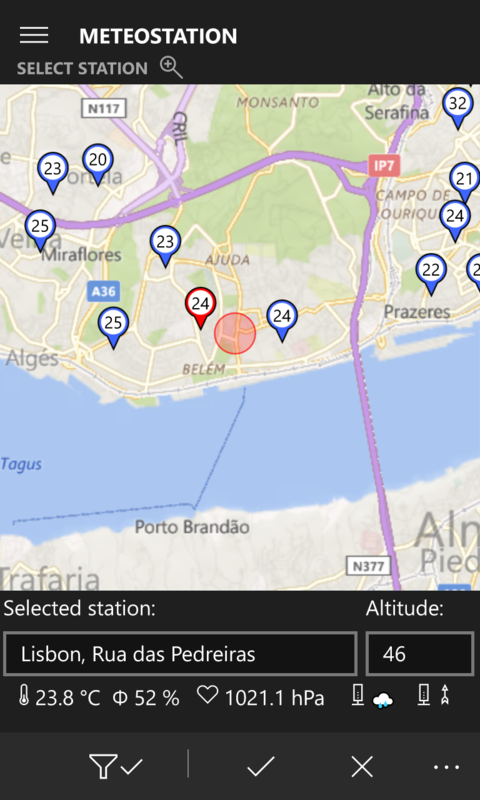 Monitored station can be simply selected from the map, renamed and saved into the favorite list for the future use. The stations saved in the favorites can always be renamed or deleted. The application supports a variety of measurement units that you can choose, as you like, in the application settings. Information is also presented on the live tile in two variants (normal and simple tile). 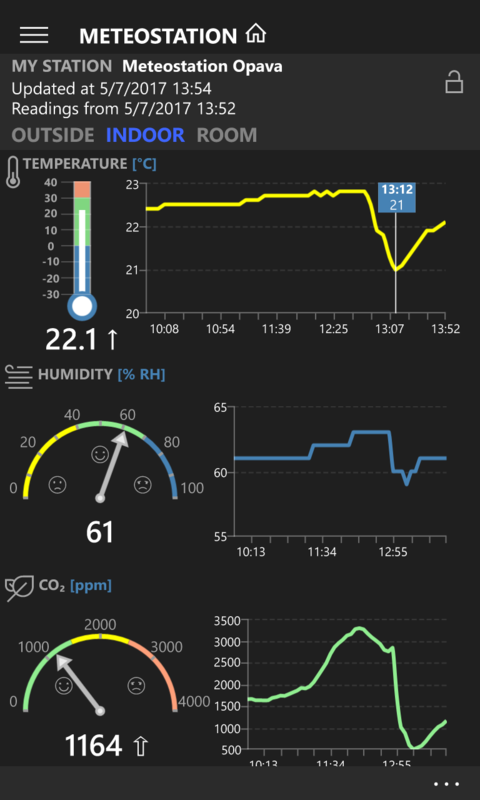 After entering your NetAtmo credentials you can display data from indoor and outdoor measurements of your own station. App support and official discussion forum available. Continuous development of the application. 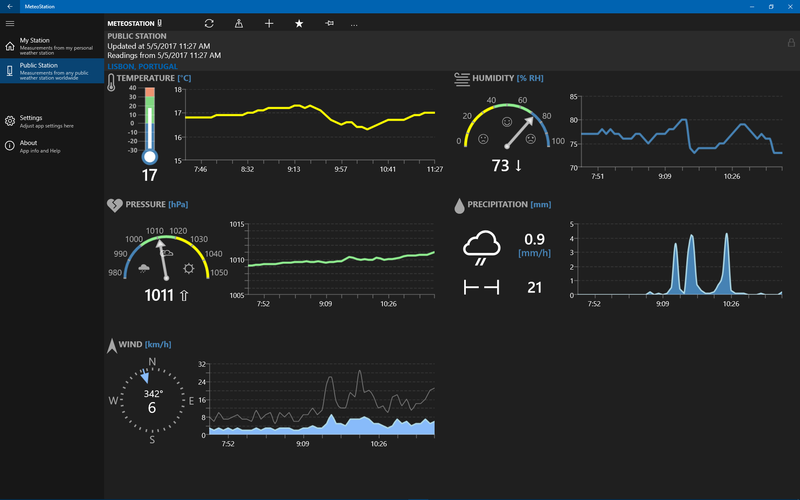 MeteoStation is available as an universal aplication for Windows 10 (desktop PC and Mobile). Application is continually evolving and improving – watch information about new releases. For futher information and download click on logo.